In three short days, renowned writers from across the country will converge at Douglas Anderson’s Writers’ Festival. At the beginning of the year, it seemed so far away, something to think about later, something that would happen at some point but not anytime soon. Now that it’s upon us, and we’re packing tote bags and deciding which workshops to attend, I’m reminded of my past experiences at Writers’ Fest, and how they’ve changed my perspective of writing. My first Writers’ Fest was in eighth grade, when Joyce Carol Oates headlined. At that point, writing was a central aspect of my life, but I really didn’t understand myself as a writer. I was just excited to be in a room of high schoolers and authors that I vaguely knew about. I spent the day listening to writers speak about their craft, and slowly began to realize that I wanted to become more invested in writing. In sophomore year, I attended Writers’ Fest again, where I went to workshops on publishing, spoken word, revising, songwriting- essentially all topics I knew about, but was too afraid to try. I learned how to ensure that my work gets noticed by editors at magazines, how to transform my life experiences into a powerful performance, how to revise my pieces in a precise manner, and how to take techniques learned in sound devices and meter lessons to explore musical poetry. I stepped out of my comfort zone, and learned so much about myself and the possibilities of writing. 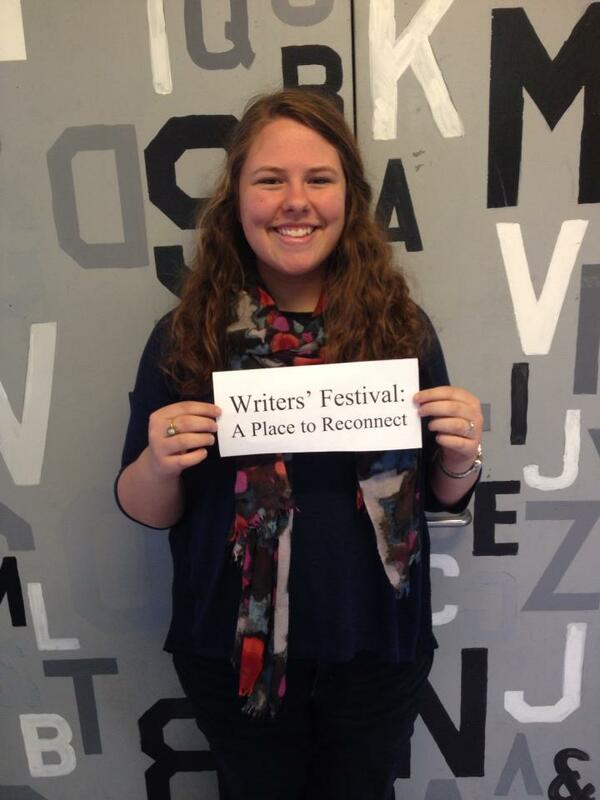 In three short days, all of the planning will come to an end, and Writers’ Festival will actually happen. We will have the chance to listen, meet, and learn from writers like Richard Ford, Patricia Smith, Joseph Millar, Dorianne Laux, Rick Moody, and Sarah Kay. In three short days, these celebrated authors will teach us what it means to be a writer in this day and age. In three short days, I will be reminded again why I write, why I get excited over the structure of a sentence, why I want to read a poem over and over until the message settles deep within me, why a book lingers around me for weeks after I’ve read the last page. In three short days, I will push away all of the stress of senior year and college and scholarships and finishing school and focus on the written word, because at Writers’ Festival, that’s what matters. To help me get ready, I’ve been reading sample works of authors attending the festival. Here are a few of my favorites. Check out the official Festival page at http://douglasandersonwritersfest.com/, where you can read bios, workshop descriptions, and register. See you soon!